Fresh from showcasing the latest Beta-version of its tactical turn-based strategy title X-Mercs: Invasion at this year’s Mobile World Congress (MWC) in Barcelona, Game Insight has GDC firmly fixed in its cross-hairs - so prepare for Invasion, San Francisco! X-Mercs: Invasion features a unique blend of turn-based combat and strategic base building. Level up and specialize your mercs' skills to attain victory against vicious aliens and mutants in deep single player campaign mode, where you must outgun and outmaneuver hordes of alien mutants across a range of tactical environments, which are full of strategic combat possibilities. Win resources from rival PMCs by leading your squad on raids of other players' bases. 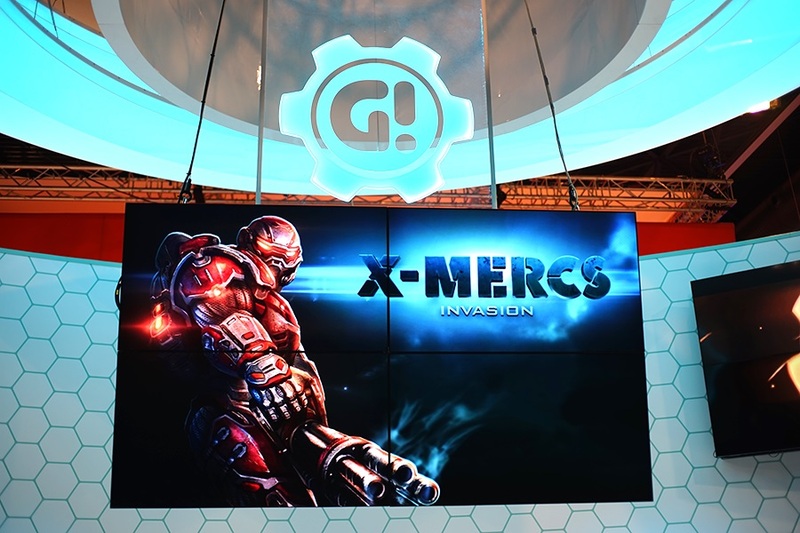 From its futuristic booth in the heart of the App Planet hall at MWC, X-Mercs: Invasion has generated plenty of buzz, and reaction to the game from press and players has been universally positive. Now, to coincide with the game being shown to US-based media and consumers at San Francisco’s annual Game Developer Conference (GDC), Game Insight has launched a second open Beta to allow more players to experience the game before it is launched. Players around the world are already battling against hordes of enemy aliens, so if you want to join in and become one of humanity’s remaining heroes, go to http://x-mercs.comto find out how to enlist. X-Mercs: Invasion’s rich 3D world is brought to life with the latest Unity® game engine featuring explosive special effects and dynamic over-the-shoulder camera effects. It’s the latest title in Game Insight’s new range of 3D games featuring console-quality graphics and deep gameplay aimed at core gamers. Every Merc’s weapons, skills and loadout can be customised and developed to deal with any kind of threat, and play styles can also be varied with three core troop classes - Sniper, Scout and Heavy. You must develop their headquarters with new buildings and units to research extraterrestrial technologies, futuristic weapons and armor including laser, lighting and plasma weapons, power armor, energy shields and a last-resort orbital strike to decimate enemy troop concentrations.